Surprised i haven't seen anyone talk about this. This is all i got.... anyone know anything on these guys? List of where you can pre-order. Last edited by Spidergreg; 06-23-2014 at 11:18 PM. All I know is I'm getting them. So glad I skipped the Battleshell turtles. I must have these!! !when r they comming out?will they be released in the states? While you could have looked a little harder... I do think we need a thread for this because it's going to spawn plenty of threads if there isn't... so yeah. The other figure threads are for Playmates stuff. This is a different level. 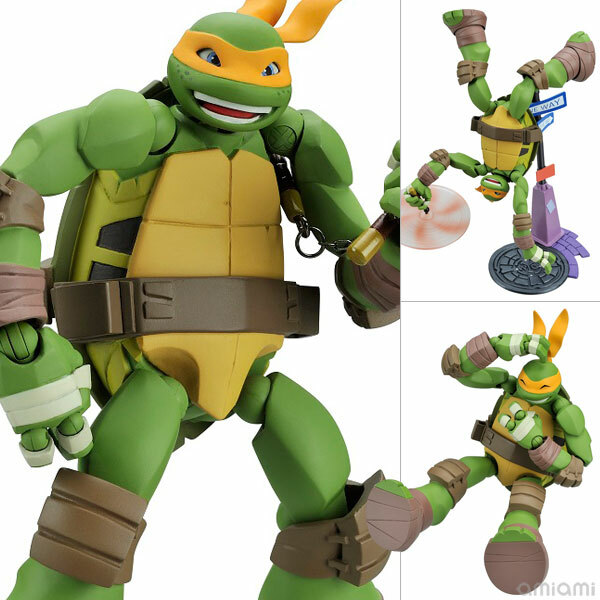 Apparently Playmates doesn't feel there's a significant audience for Adult Collector figures based on the Nick stuff. Thankfully revoltech thinks otherwise. I am going to pre-order them ASAP. I'm okay with a thread for them because then I will know instantly when a site puts them up for pre-order. I, like everyone else must own these as well! 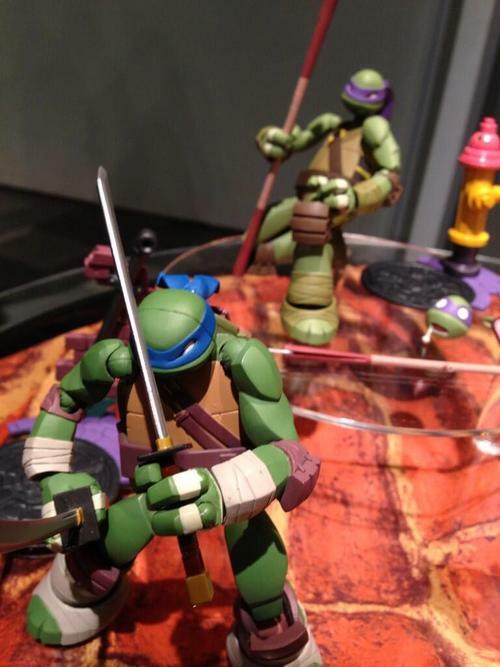 I'm not familliar with revoltech.... they are around RM180 each? If anyone has a link, do post.... i can read and translate Japanese. Revoltech Slash and ALL OF MY MONIEZ. I can totally see them doing Shredder. I wish they'd do Splinter as well. 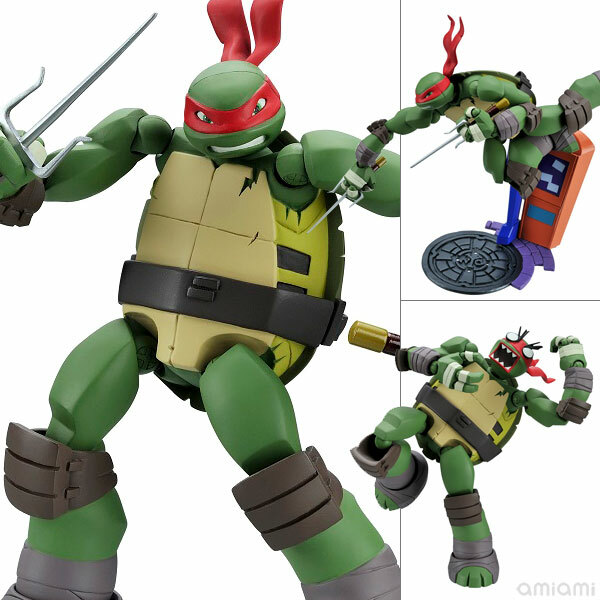 April/Shredder/Splinter I could maybe see. What I'd really like is Casey. The one Playmates is putting out is just... eugh. 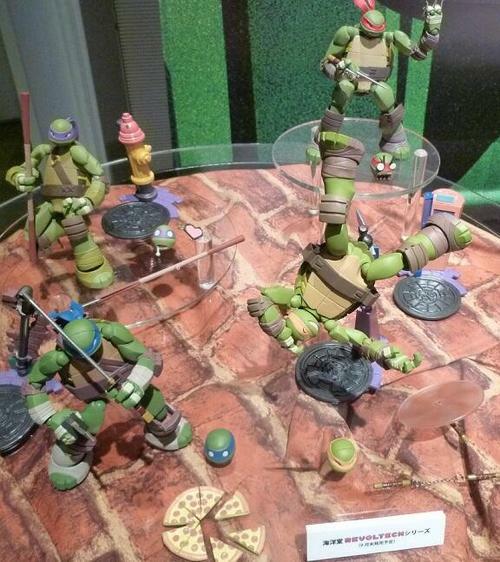 Must acquire these, I love the interchangeable faces. Looks good but am i the only one worrying that's it's gonna cost an arm and a leg? And you guys want the whole cast? I love the OT more than Nick's so maybe i'll pass on these. This is from someone who swore to only collect the figures I had as a kid.....these are just too great!! OMG!! 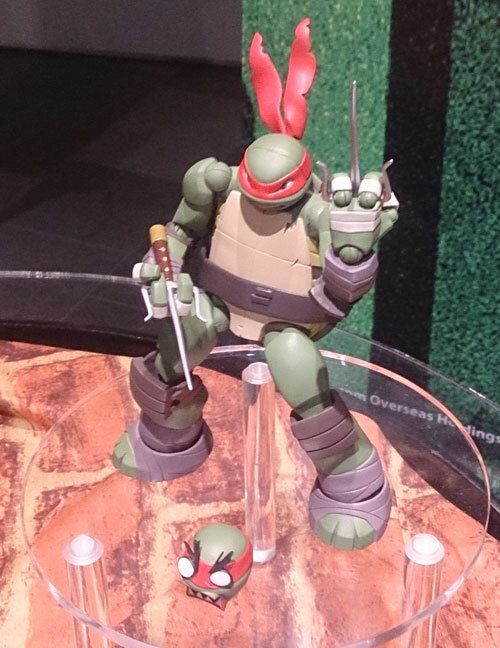 I had no idea that Revoltech was doing turtles! They will be mine!! 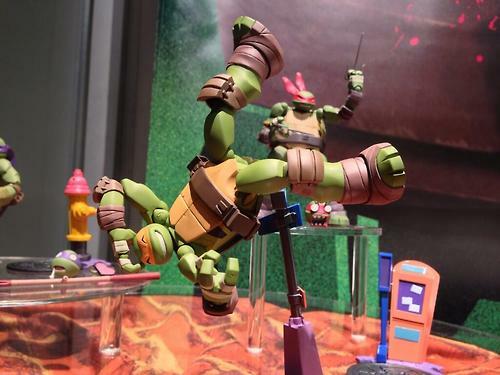 Revoltech's stuff is top notch. Well worth the price. They are known for including various heads, hands, weapons, etc. 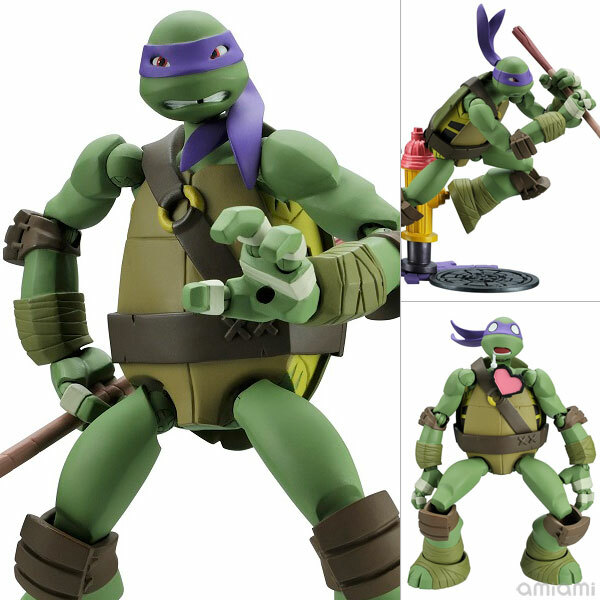 For these turtles I found the following info: "Each of the turtles will include some accessories such as pizzas and extra heads along with their signature weapons". 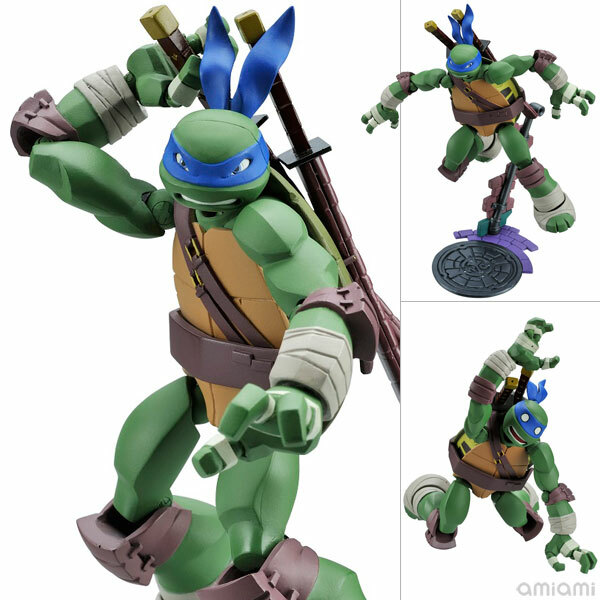 I noticed that Donnie's 2nd bo staff has a blade on the end (and I love the head with the drooling expression!!). I was really hoping they would continue their classic Transformers line, but sadly only a few figures were made. Last edited by rickwj324; 03-31-2014 at 07:42 AM. Glad this got it's own thread as I'd have missed it in the Playmates thread. I'm so all over these! This is totally what I'm talking about! Does anyone know the scale of them?